Are you looking for the Best Carpet Cleaning Services in Birmingham, AL? Look no further! 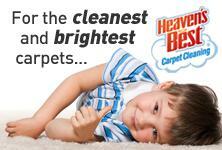 Heaven’s Best Carpet Cleaning has great rates, excellent service and FREE Deodorizer with all our cleanings. Don’t pay extra for Deodorizer! Many other cleaners in Birmingham charge an extra fee if you want Deodorizer with your Carpet Cleaning. Heaven’s Best Carpet & Upholstery Cleaning does not do this! When you have your carpets cleaned with us, we include pre-spotter & pre-spray as well as our unique Heaven’s Best Carpet Cleaning Solution and Citrus Deodorizer with all our cleanings. And, we don’t charge extra for the Deodorizer! We believe that when you have your carpet cleaned, you want it to look great and smell great as well. Guess what some of the other Carpet Cleaners in Birmingham, AL charge for Deodorizer? Sears Carpet Cleaning charges an additional $10.95 per room for Deodorizer. Stanley Steemer charges an additional $20 per room for Deodorizer. These charges are in addition to their cleaning charge. So, if you are looking for the Best Value on Carpet Cleaning Services in Birmingham AL, call Heaven’s Best Carpet & Upholstery Cleaning at (205) 618-9150. You will be amazed at how great your carpets look and smell! Our price per room includes pre-spotting, pre-spray, our unique Heaven’s Best Carpet Cleaning Solution and Citrus Deodorizer. We also commercial vacuum with one of the best vacuums available on the market today, and we groom the carpet after cleaning. Don’t compare Apples to Oranges when looking for Carpet Cleaning Services! Heaven’s Best Carpet Cleaning has the Best Value for your Money. Call us today at (205) 618-9150 for the Best Carpet Cleaning Service in Birmingham, AL.